Congratulations to the great Def Leppard on the well-deserved induction into the Rock and Roll Hall of Fame tonight. A fantastic career, especially the first several albums. Their excellence should have been recognized long ago. 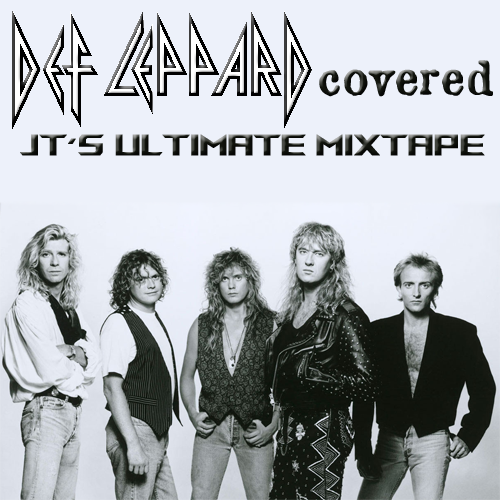 When I started building “JT’s Ultimate Mixtape: Def Leppard Covered,” I was initially disappointed by the lack of eclectic selections available. The deeper I got, though, some real gems popped up. Load these into your player and realize the brilliance of the newest Rock Hall of Famers. Some are straight-forward rockers, while others are countrified renditions, and there’s even an a cappella styling thrown into the mix. “High ‘n’ Dry (Saturday Night) by The Gravel Pit from No One Here Gets in for Free: Rare & Unreleased. I’m not going to pull any punches here. This sounds slightly better than something my college band would have done in our dorm on our little tape deck. “Bringin’ on the Heartbreak” by Mariah Carey from Charmbracelet. It was either this or a Jethro Tull-ish Jed Davis version. “Pour Some Sugar On Me” by Emm Gryner from Girl Versions. If you didn’t click play on the YouTube video at the top of this list, do it. Now. There are a lot of straight-forward covers of “Pour Some Sugar On Me” out there. There are also a lot of off-beat covers. Emm Gryner’s is hands-down the most hauntingly beautiful version of this song ever. Her voice is powerfully soulful. Before I heard her take, I also considered Bristol Love‘s saccharine version and Ely Jaffe‘s toned-down acoustic rendition. “Two Steps Behind” by No Strings Attached from Even Closer. A cappella hair metal, folks. Except not metal at all. I wonder how much Aqua Net they go through in a week. “Long Long Way To Go” by Lionel Richie from Just For You. The Def Leppard version, released in 2003, was their last song to appear on the UK Top 40 charts. Lionel Richie took his rendition to 20th on the US AC charts in 2004. What band should we tackle next? 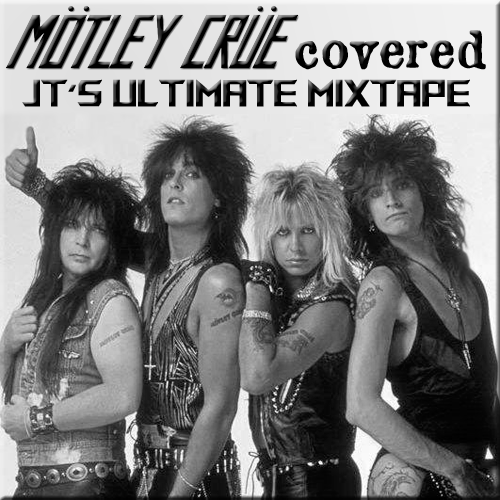 I thought about calling this “Crücial Covers” but that seemed a bit too on-the-nose. Netflix released The Dirt on Friday. I’m not going to recommend that you watch it. I like Mötley Crüe for their music, not their lifestyle. And even then, there is some music by Mötley Crüe I will not listen to. I try to be discerning with the lyrical content, so that knocks out a lot of rock songs. But what is left is often brilliant. Mötley Crüe is one of the most influential hard rock bands of the 1980s, and their music has stood the test of time. The true test of a great song, though, is whether it can stand up under the scrutiny of a different genre. There are plenty of tribute albums and cover versions that try to stay as true to the original as possible. To that, I ask, “Why bother?” If I want to hear “Too Young To Fall In Love” in the style of Mötley Crüe, then I will listen to the song by Mötley Crüe themselves. This mixtape is not for the traditionalist. It is eclectic and eccentric but not always electric. “Too Fast For Love” by Stone Sour from Straight Outta Burbank. This is one of the most straight-forward cover here. The original appears on Mötley Crüe’s debut record, Too Fast For Love. “Live Wire” by Meghan Kabir. Meghan is an Afghan American singer/songwriter. This version was actually just released on Friday and was used in The Dirt. Her take on this Crüe classic is very ethereal. “Public Enemy #1” by Spiders & Snakes from London Daze. Spiders & Snakes’ lead singer Lizzie Grey played in bands with Nikki Sixx during the 1970s, and co-wrote this song that appeared on the Crüe debut. “Piece of Your Action” by These Idol Hands from Unbound. A little grungy, a little sleazy. These Idol Hands hail from the home of Dunder Mifflin Paper Company. “On With The Show” by The Ataris from Let It Burn. Mötley goes emo/pop-punk. “Looks That Kill” by Susan Hyatt from Pin-Ups & Trumpets. She’s the lead singer for Pillbox, but this trumpet-heavy rendition is anything but grungy. “Too Young To Fall In Love” by Chelsea Lankes from Down For Whatever/Too Young To Fall In Love. This song presented the greatest challenge in picking a version. Lankes’ version is an electro-pop masterpiece, but Steve Taylor’s beautiful piano ballad from Got It Covered (Songs I Didn’t Write, Vol. 1) comes in a close second. But the options don’t stop there. Glorified High School delivers a haunting piano rendition. “Home Sweet Home/Bittersweet Symphony” by Limp Bizkit from Greatest Hitz. Don’t @ me. “Girls Girls Girls” by Richard Cheese. He is the greatest Vegas lounge singer doing rock and pop songs. “Dr. Feelgood” by BulletBoys from Rocked & Ripped. A great song, but Marq Torien and company do little to make it their own. In this case, I would rather listen to the original recording. “Kickstart My Heart” by The Booze Bros. from Two Fo The Show. A jazzed-up acoustic rendition of one of Mötley’s most popular songs. “Don’t Go Away Mad (Just Go Away)” by Ben Lee from Family Album: A Compilation. I was introduced to this version in the late 1990s while working for WRFL at the University of Kentucky. I have never been able to track down the album, but the song is available on YouTube. “Without You” by Clare Bowen & Sam Palladio from Nashville Outlaws: A Tribute to Mötley Crüe. A bunch of country artists doing Mötley songs sounds awful to me, but in a couple instances it really works. This is one of my least favorite Mötley Crüe songs, truly a cringe-worthy ballad from my favorite Mötley Crüe album, but the country version is bearable. Not great, mind you, but bearable. “Hooligan’s Holiday” by John Corabi from Unplugged. Is this allowed? The original vocalist of the track, ousted after his one release with the band, recorded a stirring acoustic version of the best song on the album. There is also an acoustic rendition of “Loveshine” on this CD. Corabi has been quite busy lately with his new band The Dead Daisies, featuring the man-of-many-bands Doug Aldrich on guitar. They have released four studio albums, one live album, and four EPs since 2013. “Afraid” by Aaron Lewis from Nashville Outlaws: A Tribute to Mötley Crüe. I’m breaking one of my rules here. Generally, I will not include two songs from the same tribute album, but Aaron Lewis’ southern-fried version of one of the only good songs from Generation Swine is simply fantastic. If you prefer to just buy a pre-packaged tribute album rather than build your own, there are plenty of options out there. I don’t have any of these in my collection, so I cannot personally recommend any of them. Tom Petty was an iconic songwriter, with fans young and old. I love Tom Petty’s music, but his last album I really heard was Songs and Music from “She’s the One” from 1996. I have no doubt that I would love everything else he recorded in the past 20 years, but I never felt compelled to seek it out. Regardless of my own negligence of his recent craft, his impact on the world of music was huge. Artists from genres as diverse as country to horror punk have covered Tom Petty songs. Here are some of the best that I have tracked down. One of the greatest American rock bands of all time, Aerosmith raised the bar for hard rockers in the 1970s and shocked the music world with a massive comeback in the late 1980s. More than three years ago, I gave the band the “Ultimate Mixtape” treatment, picking my favorite song from each album released by the group. Countless artists have offered up their renditions of the Bad Boys of Boston’s greatest hits. 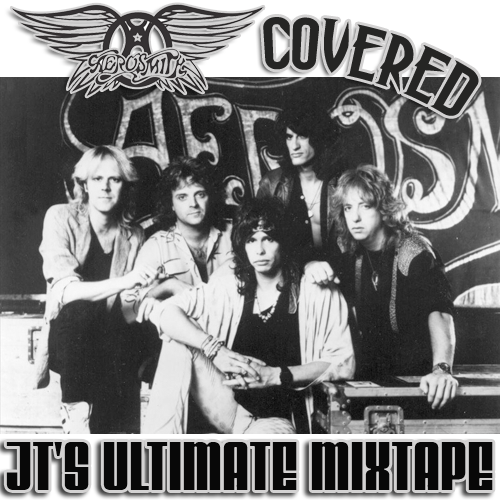 In this Ultimate Mixtape, I will attempt to collate some of the greatest and most interesting Aerosmith songs covered by other bands. I’m sticking only to officially released songs, and my personal preference is to avoid live versions. While tribute albums are fair game, only one song per tribute is allowed on this compilation. Further, no artists will be duplicated, and each song will only be represented once. So hit play on the YouTube videos below, click the links to buy some records, and rock out like you’ve never rocked out before! It took me a long time to warm up to Pearl Jam. Long as in about twenty years. It was not until I watched the documentary on Netflix a few years ago that I really started digging the band. I tried back in the day; I had Ten on cassette, and Vs. on CD, but never really got into them. But after watching Twenty and reviewing the band’s output since the grunge explosion, I have grown to appreciate and even like Pearl Jam, much to some of my college friends’ displeasure. With their recent Rock Hall induction, this is a perfect time to give these rockers the “Ultimate Mixtape” treatment. Every album must be represented by one and only one song. The selected song does not have to be a single used to promote the album. Live albums are fine if you want to use them, but you are not required to include them if you are satisfied with your “Ultimate Mixtape” without them. Sometimes they are a great tool to sneak in a classic song when the studio version didn’t make the cut. “Even Flow” and “Just Breathe” get the live treatment here from two PJ concert albums. “Greatest Hits”/ “Best of” albums are eligible only if they contain new songs, or new versions of old songs. Since “State of Love and Trust” (from the Singles soundtrack) was never released directly by the band until their first hits compilation, I decided to use it to represent rearviewmirror. What did I miss? 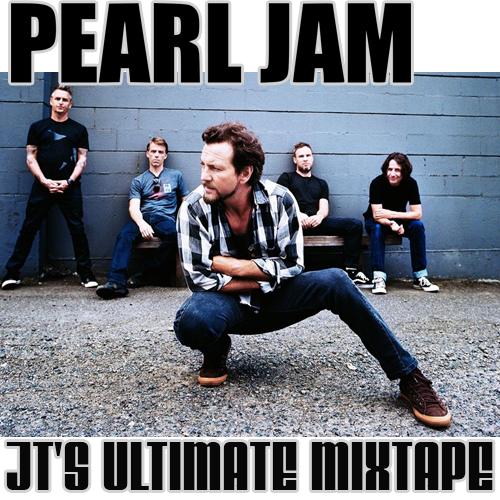 How does your Pearl Jam mix differ from mine? The 2017 Rock and Roll Hall of Fame induction ceremony took place last month, and aired on HBO over the weekend. This year’s class was a very impressive lineup, including Electric Light Orchestra, Joan Baez, Yes, Tupac Shakur, Pearl Jam, and one of the greatest arena rock bands of all-time, Journey. It has been over a year since I last put together an “Ultimate Mixtape,” so I thought the time was right to resurrect this project. I enjoyed going through Journey’s discography, and the related artists. Such a great band, such diverse styles. Every album must be represented by one and only one song. This is an especially difficult rule when looking at 1978’s Infinity album. Live albums are fine if you want to use them, but you are not required to include them if you are satisfied with your “Ultimate Mixtape” without them. Sometimes they are a great tool to sneak in a classic song when the studio version didn’t make the cut. In Journey’s case, Captured just happens to have a new studio track on it, so that was my de facto choice. “Greatest Hits”/ “Best of” albums are eligible only if they contain new songs, or new versions of old songs. With the exception of Time^3, Journey’s compilations do not meet this requirement, so are omitted from the Ultimate Mixtape project. What do you think? Did I miss your favorite Journey song or solo project on the bonus disc? Click here to see all previous editions of JT’s Ultimate Mixtape. 2016 has been a rough one so far when it comes to celebrity deaths. Lemmy, David Bowie, and now Glenn Frey have all left this terrestrial plane. I listened to the Eagles a lot during high school, but not quite so much in the past twenty years or so. Sure, there are some go-to songs there, but as a whole, I’m just not into the band like I once was. A friend asked me last night what my three favorite Eagles songs were. I answered immediately: “James Dean,” “Ol’ 55,” and “Hotel California.” No hesitation whatsoever. 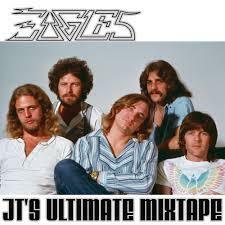 Then I started thinking about an Eagles “Ultimate Mixtape.” It gets a little more difficult. Every album must be represented by one and only one song. The most difficult album for me here was On The Border, which includes my two favorite Eagles songs. Live albums are fine if you want to use them, but you are not required to include them if you are satisfied with your “Ultimate Mixtape” without them. Sometimes they are a great tool to sneak in a classic song when the studio version didn’t make the cut. “Greatest Hits”/ “Best of” albums are eligible only if they contain new songs, or new versions of old songs. That’s why neither of the first two Eagles “Greatest Hits” albums are included, but the 2003 compilation has a newly recorded song. What do you think? Did I miss your favorite Eagles song or solo project on the bonus disc? The devastating news of Scott Weiland’s passing last night sent me straight to YouTube, and I started playing all the band’s hits from the first three albums. I was not as familiar with the band’s later production, and was actually surprised at how much STP released over the years. After sampling some really cool tunes, I decided an “Ultimate Mixtape” was in order for the late Weiland and his group. Every studio release must be represented by one and only one song. This is probably the hardest rule to follow, especially when you consider how many great songs were on the first few albums. That song does not have to be a single used to promote the album. Live albums are fair game, but are not required to be used if there is nothing worth including. “Greatest Hits” type albums are only eligible if they contain previously unreleased or alternate versions or previous songs. So, from Thank You, the only two songs eligible for this project are “All in the Suit That You Wear” (which I used) and the acoustic version of “Plush” from MTV’s Headbanger’s Ball. What did I miss? What songs would you have included that I neglected? Feel free to leave a comment, but be sure to keep it clean. 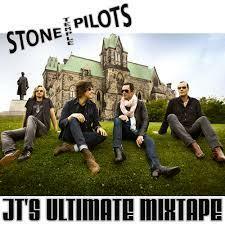 Click here to see all the “JT’s Ultimate Mixtape” posts. It has been too long since I posted an Ultimate Mixtape tracklist. I intended to do these once a month, but it’s more work than you would imagine. I like to be thorough and accurate, so I will go back and actually listen to each album, at least the first few seconds of each song, to make sure that I picked the right song for that album. Of course, you can disagree with my picks, this is entirely subjective…but to be honest with myself, I have to revisit the material. Every studio album must be represented by one and only one song. That song does not have to be an official “single” released by the band to promote said album. Compilation albums can be included, but only songs that are new, previously unreleased, or remixed songs from prior albums are eligible for the list. There you have it. How does your Twisted Sister Ultimate Mixtape differ? Ronnie James Dio’s voice was silenced five years ago, but his legacy lives on through the recordings made during his lifetime. His solo career followed stints in Ritchie Blackmore’s Rainbow and Black Sabbath. It was very difficult to make this Ultimate Mixtape because there are so many great songs, but rules are rules. Live albums are a great way to sneak additional songs into the mix. Can you imagine a Dio Ultimate Mixtape without “Rainbow in the Dark” and “Holy Diver”? Me neither. Click play on the YouTube video, review my list, make your own, and buy some Dio today. Of course, Ronnie James Dio did much more in his career than just Dio. He also sang with Elf, Ritchie Blackmore’s Rainbow, Black Sabbath, and made several guest appearances on friends’ records. Below is just a small sampling of those projects. Explore more of Ronnie’s career at dio.net. What’s missing? What is on your Ultimate Mixtape: Dio edition that is not on mine?